Linux fans have been waiting for convergence, and it could finally come with this tablet plus Canonical's Ubuntu 16.04 LTS. The rumors are true: An Ubuntu-powered tablet blessed by Canonical is coming—from Spanish device maker Bq, which plans to unveil it at Mobile World Congress in February. Linux fans have waited a long time for the realization of Canonical’s long-promised vision of “convergence,” an OS that seamlessly transitions between mobile and desktop environments. 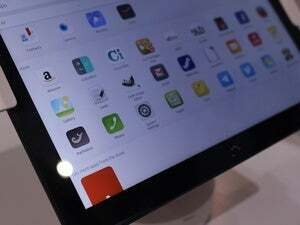 Ubuntu blog OMGUbuntu first reported the tablet on January 14, but Canonical refused to comment. In a recent interview with Spanish website Xataka, however, Bq (which has partnered with Canonical on phones) confirmed the rumor. The tablet will reportedly be based on the Bq Aquaris M10, which is currently available with Android 5.1 Lollipop. The 10-inch tablet has a 1280x800 screen, with a 64-bit ARM chip and 2GB of RAM inside. At present, it offers 16GB of internal storage and an SD card slot, although the Ubuntu version could include more storage. Xataka claims the device is scheduled to be released April 21, 2016, and will run a preliminary version of the upcoming Ubuntu 16.04 LTS. Bq will also offer the Aquaris X5 Plus phone, an extended version of the Aquaris X5, with Ubuntu. It’s unknown whether this phone will have convergence features. The tablet will feature the touch-centric “scopes” interface. While Canonical has been singing the praises of convergence for years now, Microsoft was first to actually deliver on that promise, with the Continuum feature in its Windows 10 Mobile OS. Connect a Windows 10 phone to a monitor, keyboard, and mouse, and you have a desktop-like experience. Until now, Ubuntu mobile devices have lacked both the hardware chops and the necessary compatibility layer in the OS to make desktop convergence viable. But a tablet running Ubuntu 16.04 LTS could change all that. When it’s released in April, Ubuntu 16.04 is set to offer dual editions: a traditional Ubuntu Desktop build with Unity 7 and the X.org display server, and an Ubuntu Personal build with Unity 8 and Canonical’s own Mir display server. Canonical has been hard at work developing a compatibility layer for Unity 8 that both supports modern, touch-based applications and is backward-compatible with traditional Linux desktop apps via the secure Snappy package manager. Its goal is to have the compatibility layer in place for Ubuntu 16.04, and thus Bq’s new tablet. For now, it’s wait-and-see. But if Ubuntu 16.04 lives up to its convergence aspirations, Bq’s new Ubuntu tablet could be a very interesting product.